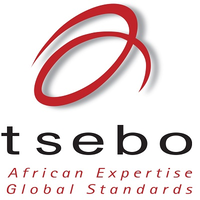 Job Description: As the leading integrated facilities solutions provider in Africa and the Middle East, operating in over 28 countries, with over 40 000 employees, the Tsebo Solutions Group enables businesses to optimise their efficiency and productivity, and become more successful. We take responsibility of our customers’ non-core activities outside of their expertise, empowering them to focus on their core business. Our local expertise, global standards and innovative cross-divisional solutions, such as catering, cleaning, facility management and security, give us the edge to optimise our customers non-core operations, allowing them to enjoy reduced cost, risk and complexity. ATSI specialises in designing, developing and servicing remote camps, including catering, cleaning, accommodation and camp management across the life-cycle of your operation. Oversee the implementation of all Occupational, Health and Safety (OH&S), Environmental and Food Safety policies and procedures within areas under your jurisdiction as well as ensuring continuous training of all staff in OH&S, Environment and Food Safety. – Must follow up on corrective/preventive action to ensure they are addressed. – Ensure that audits are carried out on all ATS vehicles both company and hired as prescribed by the vehicles regulations and any other relevant requirement using the prescribed form. ATSI is committed to employing local applicants in our Operations. Preference will be given to local Tanzanian candidates and we encourage suitable local Tanzanians to apply. Tsebo Group are the leading African provider of facility services. Our clients enjoy tangible benefits in a form of reduced cost, risk and complexity, improved service delivery and quality, enhanced operational efficiency and convenience of service. Our genuine love for our continent with its diversity of traditions, cultures, geographies and religions means we understand how to provide authentic & sustainable community upliftment, skills transfer, job creation and local procurement that makes a real impact on people’s lives. Our operational delivery standards by industry and expertise in health and safety, financial management operational procedures, business transparency, tax and regulatory compliance, labour management, ethics and governance, skills building and use of technology delivers according to global best practice.